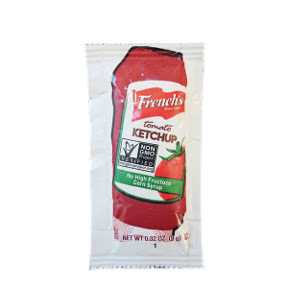 9 g tomato ketchup in individual size packet. Free from high fructose corn syrup and preservatives. Ingredients: tomato concentrate (made from fresh ripe tomatoes), sugar, distilled vinegar, salt, onion powder, spices and natural flavor.